Using the build in downloader to download smaller files is usually not a problem in modern web browsers. It is however different if lots of files need to be downloaded, or if the files have a larger size than the usual files that are downloaded. The first problem becomes apparent when the simultaneous download restrictions of the web server or web browser kick in, the second when large downloads fail and cannot be resumed. Besides, the download stops if the web browser is closed. Download managers have a solution for both problems. They can queue up as many files as the user wants and offer resume capabilities if the web server does the same. Firefox users have Flashgot, a great add-on that integrates download managers into the web browser. Windows Chrome users now have a comparable solution by the name of oGet which adds support for about thirty different download managers. Among the download managers supported are popular programs like BitComet, LeechGet, FlashGet, GetRight, Free Download Manager, Orbit Downloader or Mass Downloader. 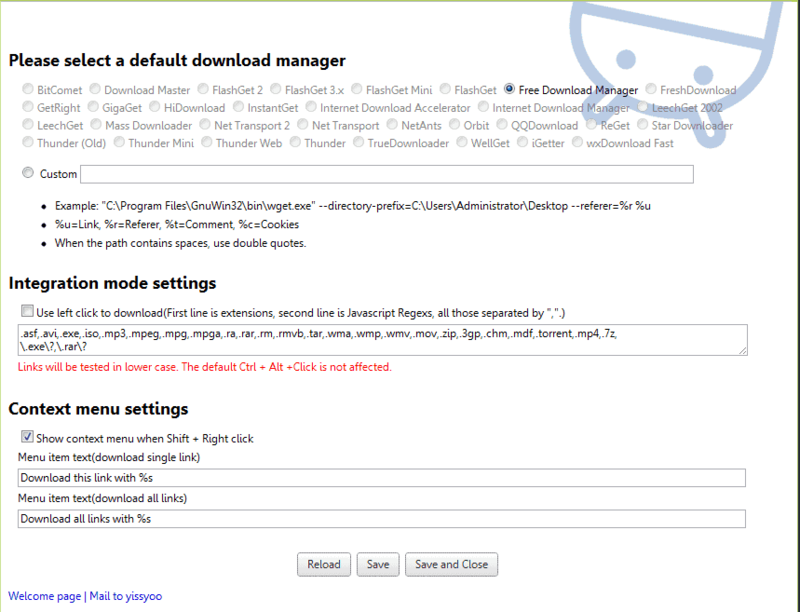 Users who do not find their download manager among the supported programs can add it as a custom downloader. Once the extension has been installed it displays the options menu. 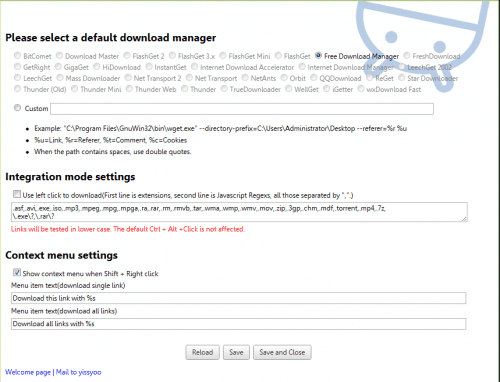 Here it is possible to select a default download manager from the available supported download managers, or configure custom manager. The extension recognizes installed download managers immediately, all others are not available for selection. All downloads can from that moment on be redirected to the configured download manager. This is done by either pressing Ctrl-Alt and left-clicking on a file download link, or by shift-right-clicking if the option has been enabled in the extension's options. The Shift Right-click option offers to download only the file the mouse hovers over, or all download links on a page, which is very comfortable. Specific file types can furthermore be redirected to the download manager directly by configuring the integration mode settings in the options. This sends the downloads of those file-types with a left-click to the download manager.